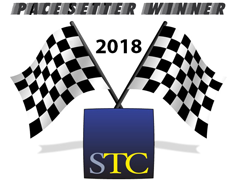 The Washington, DC – Baltimore Chapter is pleased to announce that we earned an STC 2018 Pacesetter Winner award, which recognizes innovative and successful community initiatives. 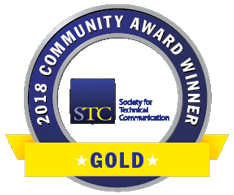 Unlike STC's other Community Achievement awards, which recognize communities for consistent strength in many varied activities, the Pacesetter Award recognizes the successful implementation of a single beneficial innovation that may be implemented by other STC communities. The Pacesetter Winner certificate will be presented to chapter representatives during the Leadership Program (on Sunday, May 20) at the 2018 Summit in Orlando, FL. All chapter members attending the 2018 Summit are invited to take part in a group photo with the certificate after the Honors Program. For organizing the Summit Dine Around, which brought small groups of conference attendees together in a casual setting to enjoy local cuisine and network with other Summit attendees. Congratulations to the entire membership of the Washington, DC – Baltimore Chapter, to our administrative council, our 2017 summit planning committee, and to our hard working volunteers.